I've been inspired by one of my friends, Aubrie Legault, of Capturing Grace. I am a huge fan of her photography. 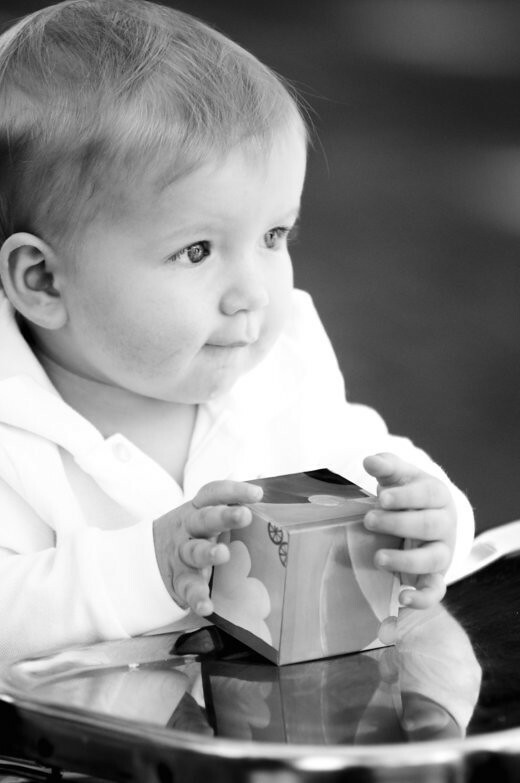 The image of Graeme was taken by Aubrie at his first birthday party and is still one of my very favorite pictures of my little boy. At the beginning of 2010, Aubrie embarked on a journey of 52 weeks of photography. You can view a few weeks from her journey here. Her personal goal of photographing through the year was a beautiful process to see unfold. 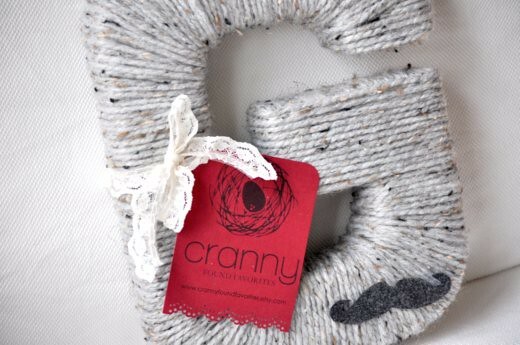 The 26 week yarn letter alphabet project, I've decided, is my 2011 Cranny project. Many of you have heard me rattle on about how saddened I was that other etsy sellers were copying my yarn letters. I've been doing some thinking about the matter and I've decided that I am going to focus on promoting Cranny and our adoption fund more than focusing on the negatives of the situation. for the next 26 weeks, I will be promoting a specific letter for sale each and every week. I will choose the letter based on something that has inspired me that particular week. And here's the best part: 8" letters will sell for $19+shipping (normally $28 + $4.95 shipping ) and 12" letters will sell for $25+shipping ( normally $34 + $6.95 shipping ). 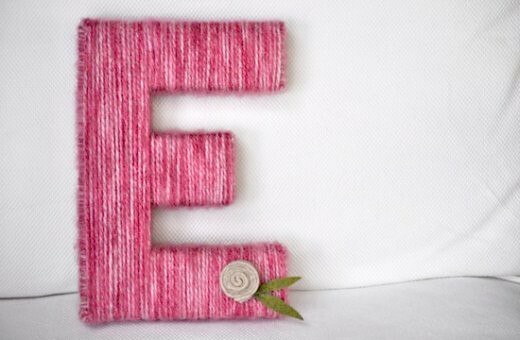 Each week, once the letter of the week has been revealed, I will load a listing for each size of letter into my etsy shop. Unfortunately, I will only load one of each and once the letter has been purchased, the deal will be gone for that particular letter. In short, my goal is to sell 26 eight inch or twelve inch letters by the end of 2011. Phew, writing that out gave me a little dose of the chills--that's a large amount of yarn letters to be sold! 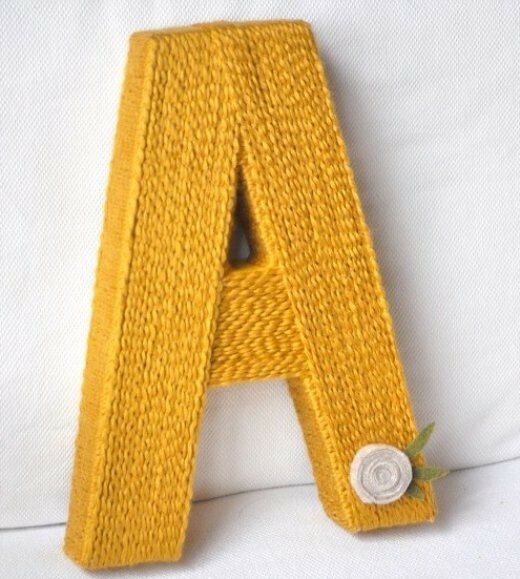 Remember, yarn letters can be made in any color you wish, just be sure to tell me via here on the blog or through your purchase information on etsy, your color preference. Also, if you desire to add a posie or mustache, please make sure to contact me prior to buying the letter as those will require an additional $3 charge. And so, I am assuming that you are probably wondering what the letter for this week is? Let me tell you, it is, simply, the letter A. That's for you, miss Aubrie. You have totally inspired me--thank you, friend! Oh, and one more thing, will you help me get the word out about Cranny's 2011 project? It would make my little Cranny heart super-duper happy and appreciative! aw, thanks Britt! It means a lot coming from your very creative self! I keep hoping to see pictures of your home on fb because I know you have done an incredible job with it! Wonderful idea! I love your yarn letters, they are absolutely the best and original ones on the web so take comfort in that and just do what you do best. Agnes, you are such an encouragement. And, I KNOW you have felt the unfunness of "copiage" on etsy;-( so this is especially encouraging coming from you! "Just do what you do best"--thanks for those words! I'd love to put this as a part of 'handmade with purpose' for the month of April since it's going for your adoption fund. I read this when you first posted and for some reason (I blame my iPhone) the comment didn't make it home. I just wanted to tell you that this is such a fun idea. I am honored that my 52 weeks gave you inspiration for a project of your own. I am so happy to see my photographs are doing what they should be doing, inspiring people. 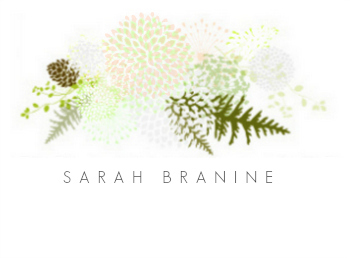 Thanks for the lovely words, SarahKate! I hope this project brings you as much joy as mine did for me. Good luck!